The knitted Malmo pouf from Surya functions as both a pouf and an ottoman when paired with a stylish tray. 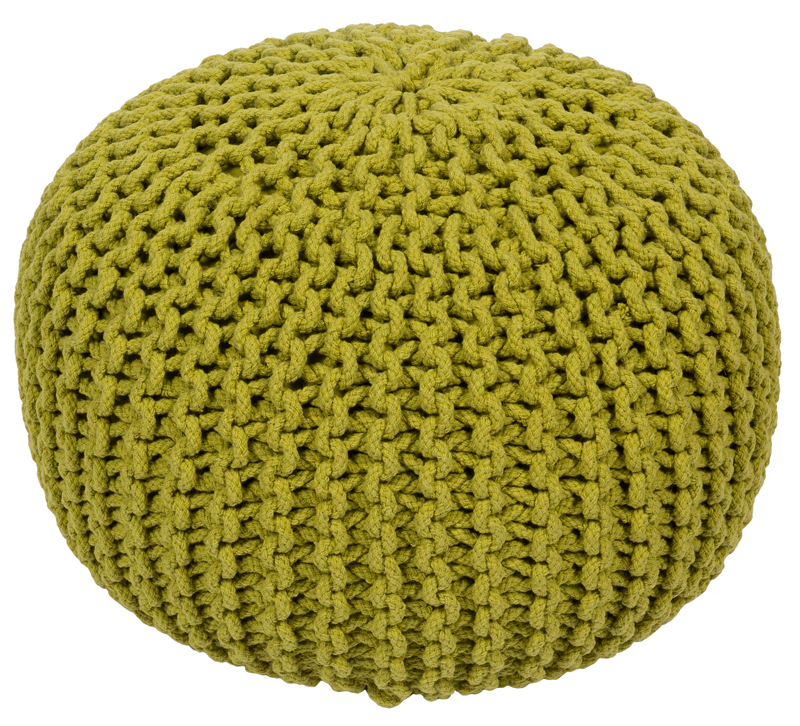 Shown here in Lime Green, the pouf is available in seven colors. Made from 100 percent cotton in India.